Love this app......can’t wait for the update to be approved. 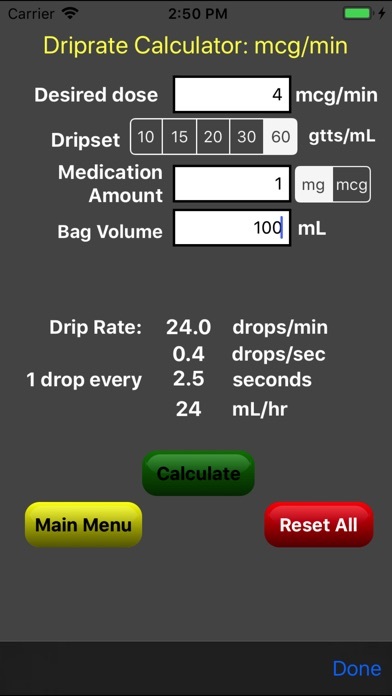 Best medical math app I have used. I was so happy to see the message that the update was coming as soon as apple approves it. Love this app!! Use it almost every day!!! Please update so I can use it!!! I work in a very busy emergency dept. When TIME matters, this app is a life saver. 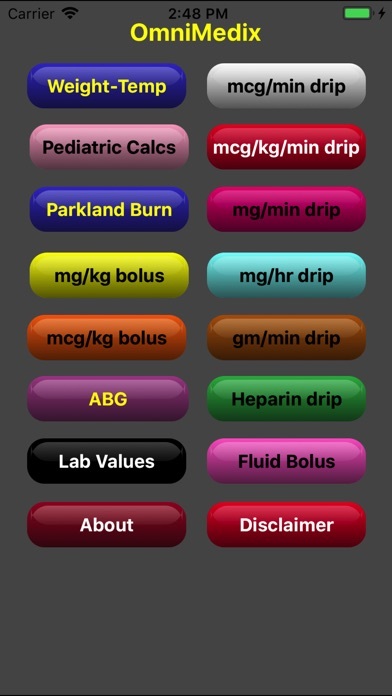 All the categories works well except for one; after inputting the values on the 'heparin' category, it will not allow me to calculate (?). Will you please investigate? I still will give this app 5 stars. 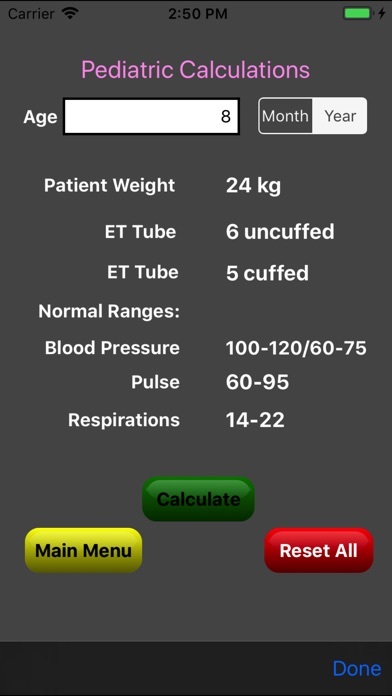 Best app for paramedic use I've found. Saved me when memory failed and incredibly easy to use. 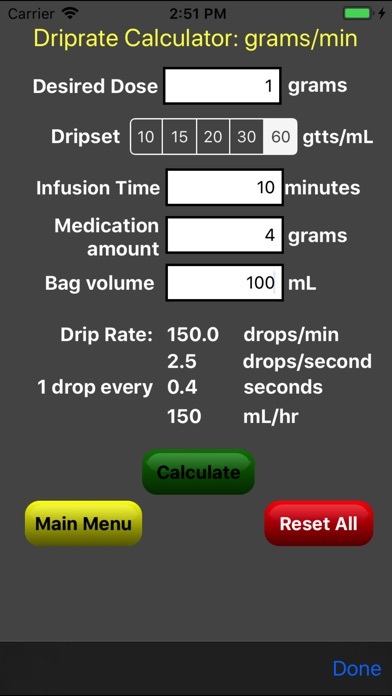 If you are not good at figuring out infusion rates or it takes you a long time to calculate, then this app is for you. I no longer have to stress about my infusions. This app is easy to use and makes my life easier. An absolute lifesaver of an app. Are you a mathtard like me? 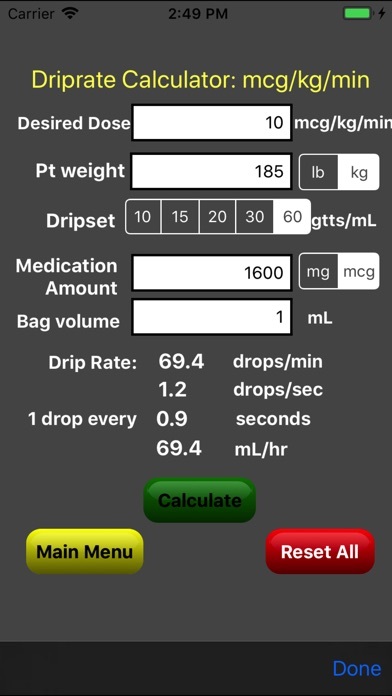 If yes, I suggest buying this app - it'll save you muddling up drug weights and volumes. Especially towards the end of your shift when you begin to flag mentally. It works flawlessly, yet it is super simple. Well worth every cent/penny. Great back up when you need it ! This is a great APP for figuring out those hard questions when time is short and your memory is not helping. It is easy to use and navigate. This is one of only a few (total) I carry on my phone. Great app! Paramedic student and this rocks. Wish is was full screen though!!! Great app, easy user interface. Makes for mindless calculations in high stress, high risk environments. A must have.